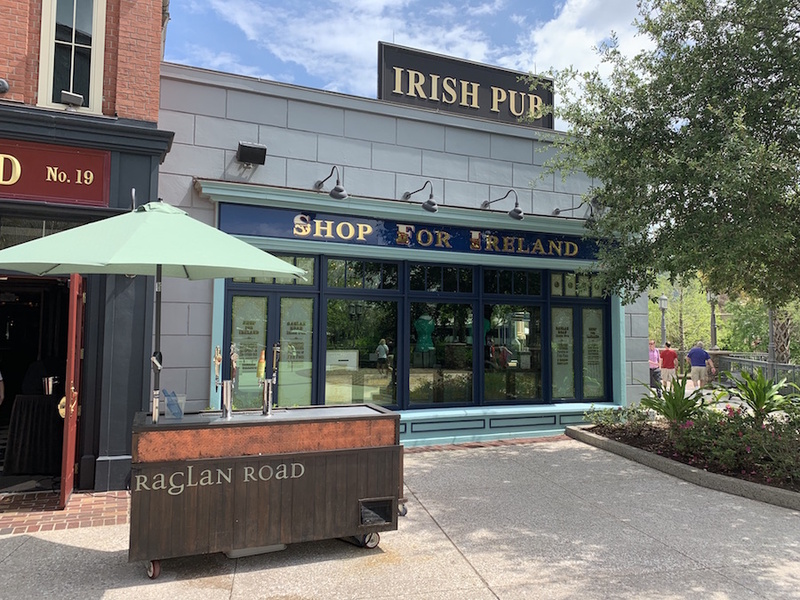 If you're looking to shop for all things "Disney" or just want a break from the theme parks, Disney Springs is a terrific destination. There's a great selection of shops and restaurants located here. 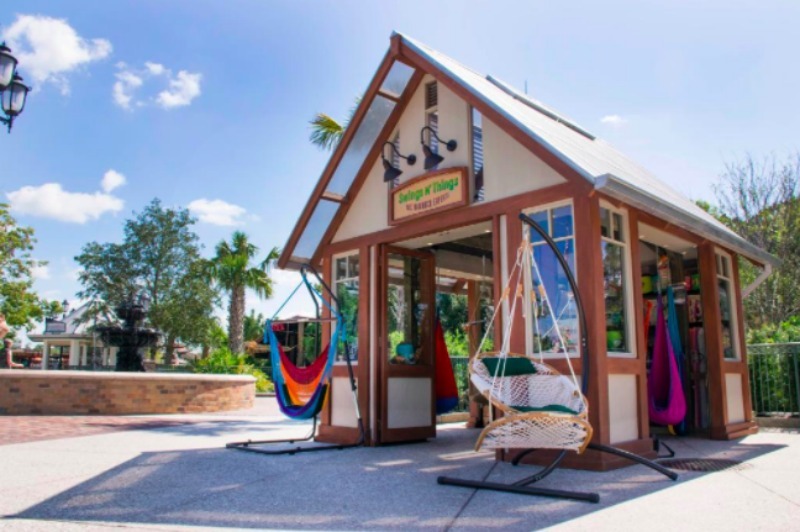 All of the Walt Disney World resorts offer transportation to Disney Springs. 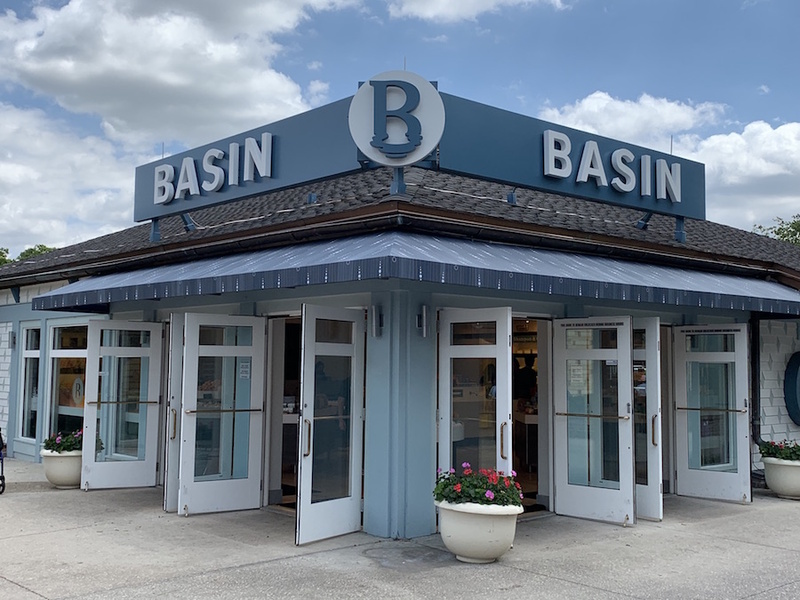 The best time to visit Disney Springs is during the day. As evening approaches, be prepared for crowds, particularly on weekends. Operating hours for the common areas are 8:00 a.m. - 1:00 a.m. This crystal specialty shop offers a wide variety of unique gifts. Skilled craftsmen work on various pieces in view of guests. A wide variety of items can be personalized. 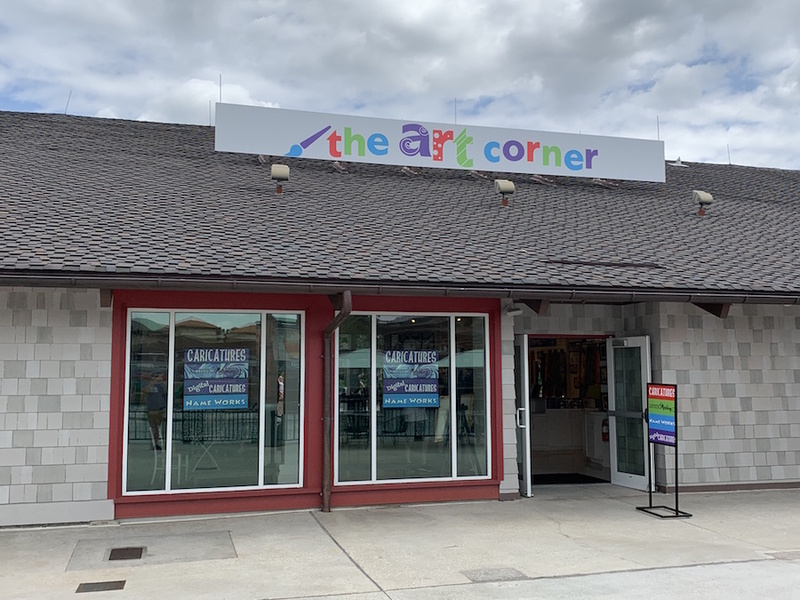 The Art Corner showcases talented artists producing original work including classic watercolor caricatures, digital caricatures, hand-drawn names, and artistic marbling. 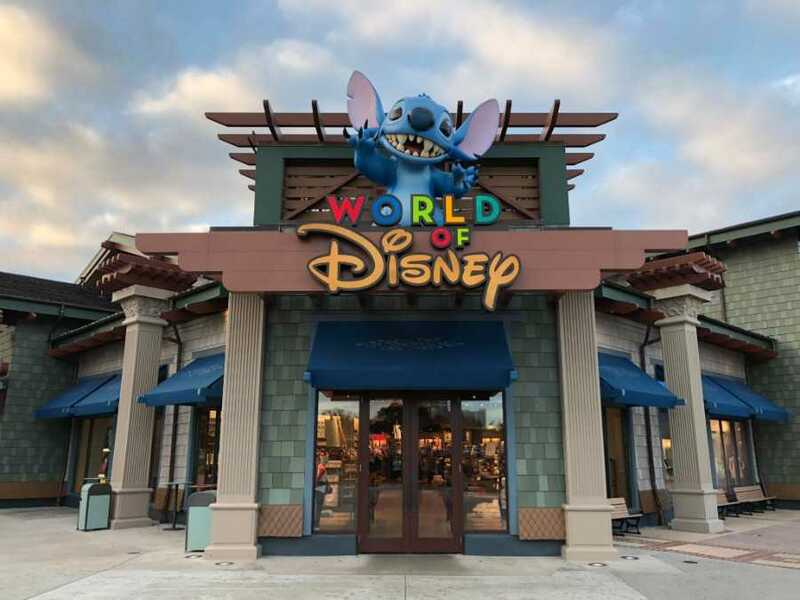 Caricatures have been a guest favorite at Walt Disney World for decades, and new, innovative digital caricatures offer an exciting twist on this beloved art form. 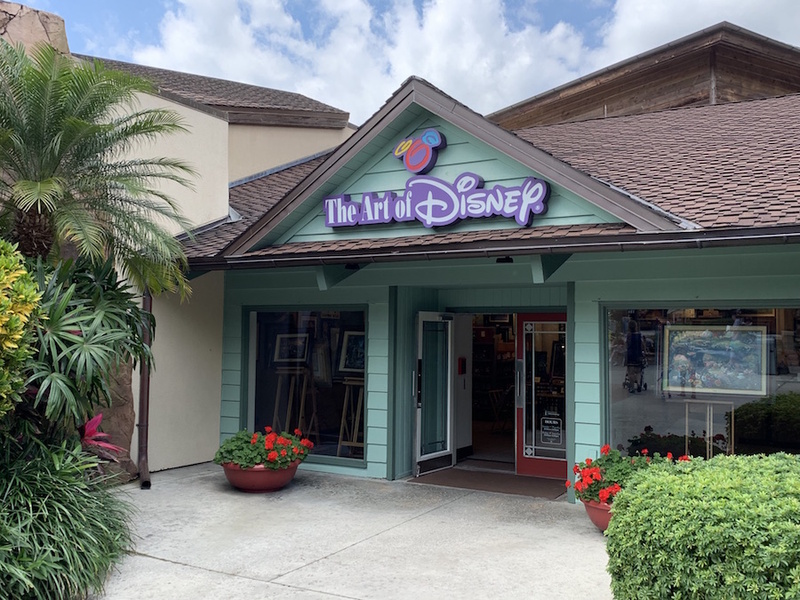 Name Works, the popular provider of personalized artwork, now has a new location inside The Art Corner, complementing its other locations across Walt Disney World. Hand-drawn names are created and personalized with illustrations of guests’ favorite items, including select animated characters. A unique “Coffee & Canvas” gallery by Steven Mikel, an artist from Coconut Creek, adds a touch of whimsy to the store. 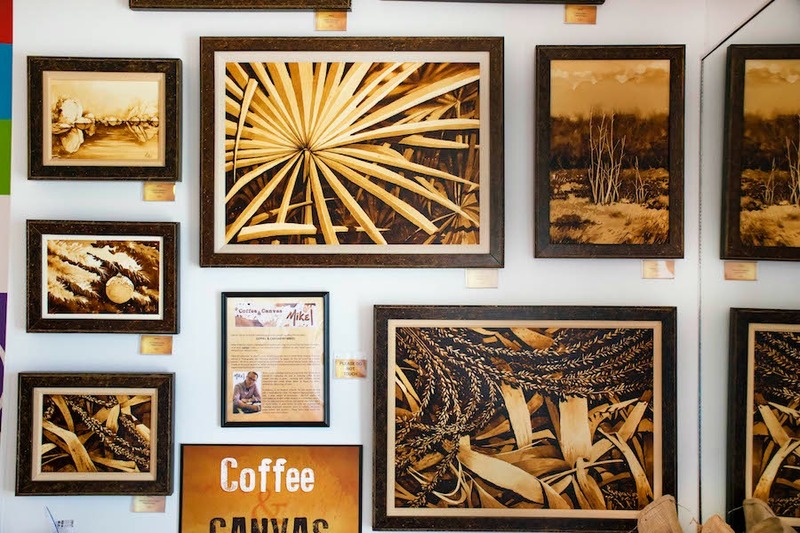 Focused on revealing the overlooked or unnoticed beauty tucked away in the details of the world around us, Mikel paints exclusively using different varieties of coffee – with each painting often requiring between 60 to 150 brewed cups. 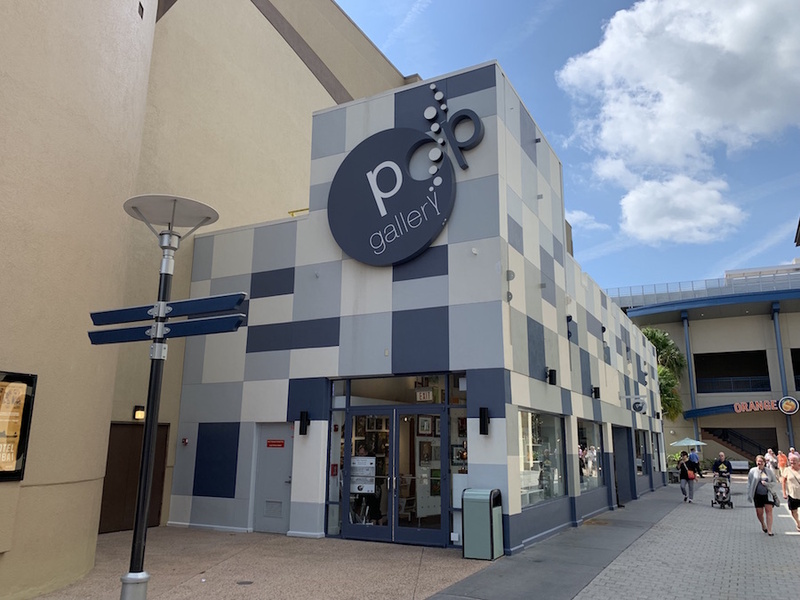 The “Coffee & Canvas” gallery helps define the unique niche this gallery/merchandise location brings to Disney Springs over the course of its one-year engagement. 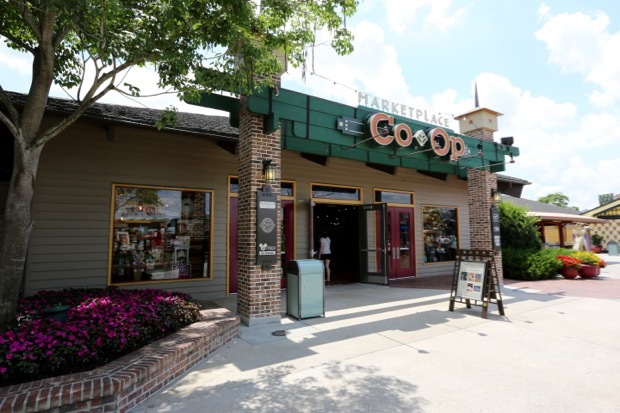 Whether you're a collector of Disney Memorabilia and artwork or not, this Disney Springs shop is worth a visit. There's a vast collection of limited edition Sericels, lithographs, original paintings, sculptures, collectible figurines including the Walt Disney Classics Collection, crystal, Lenox, etc. The range of prices makes this appealing to both the serious collector and those wanting something special on a modest budget. This is a bit off the beaten path and towards the rear of the World of Disney store. Featuring natural skin and bath products. There are wonderful hand cut soaps, bath crystals and salts, shampoo bars, scented candles, etc. Visitors are encouraged to try out the products with the testers found throughout the shop. This shop can be potent with all the varieties of smells. For all those little girls dreaming of being a Disney Princess, this boutique is the perfect fit. 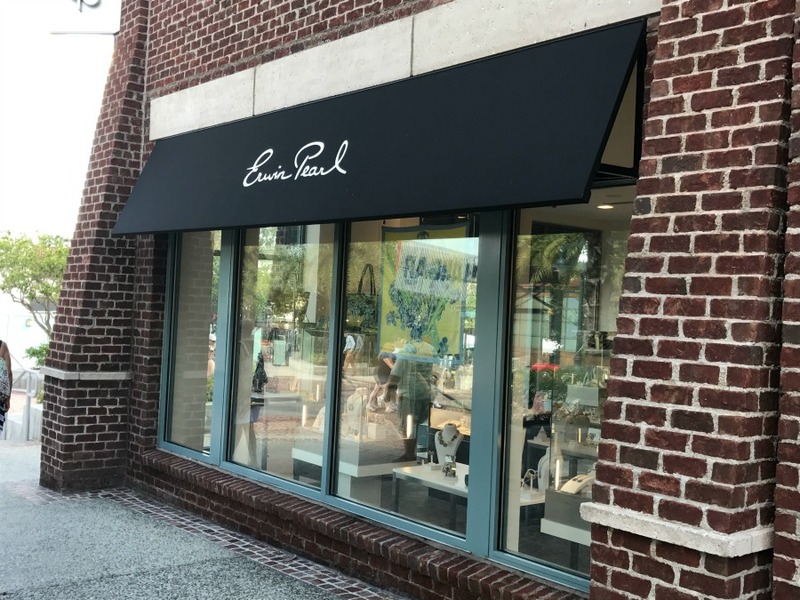 More of a salon than a store, there are 18 salon stations where girls age 3-12 can get their hair, nails, and makeup done. Boys can be transformed into gallant knights. 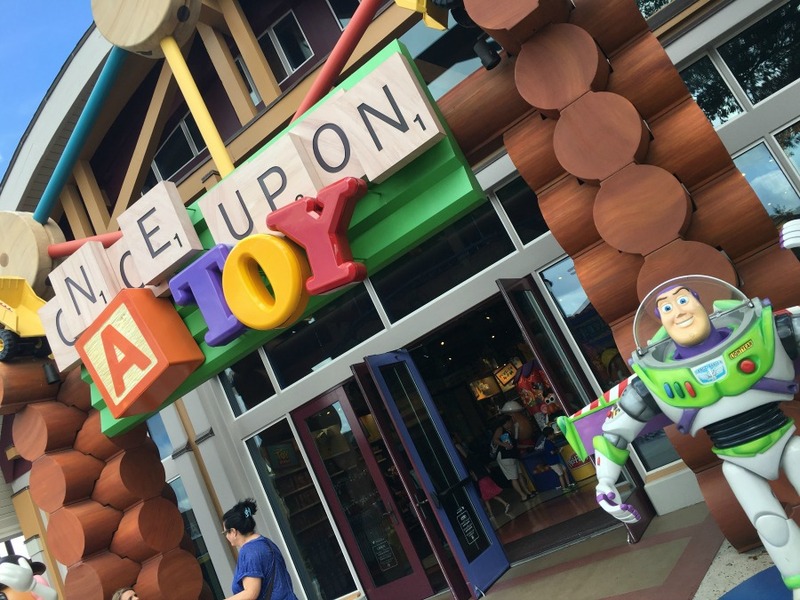 The salon is located near the rear of the Once Upon a Toy store; there is a separate entrance for the Boutique. 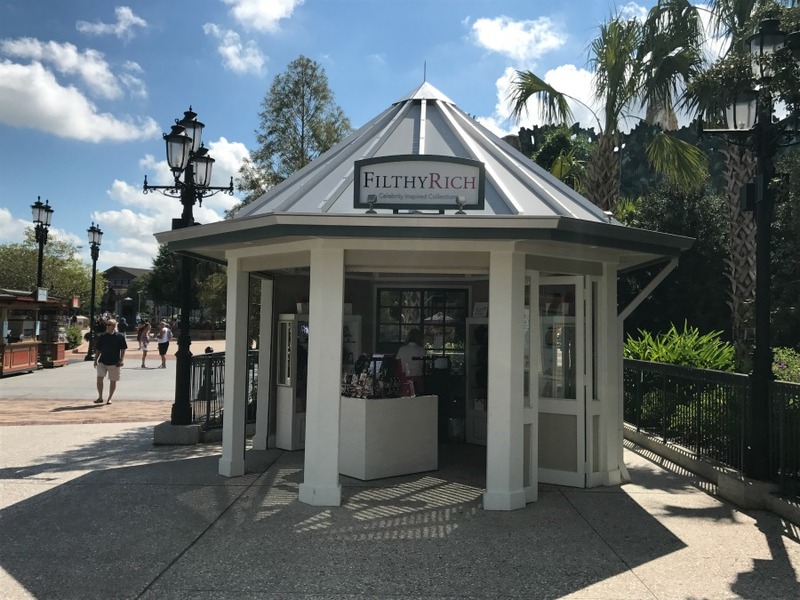 A second Boutique is located at Cinderellla Castle in the Magic Kingdom and a third one is coming to Disney's Grand Floridian Resort & Spa later in 2019. For package options and pricing, click here. Any PhotoPass photos taken are included with Memory Maker. Reservations are strongly recommended and can be made up to 180-days in advance. The number to call is: (407) WDW-STYLE. 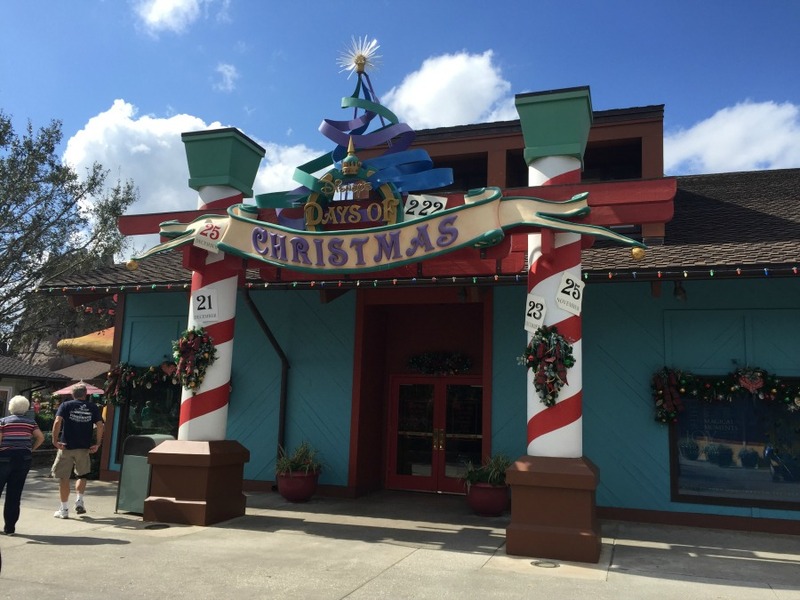 The Days of Christmas is a must see shop at anytime of the year, but make certain that you visit during the Holiday season. You can find a wide variety of Disney character ornaments, Santa hats and Christmas stockings. 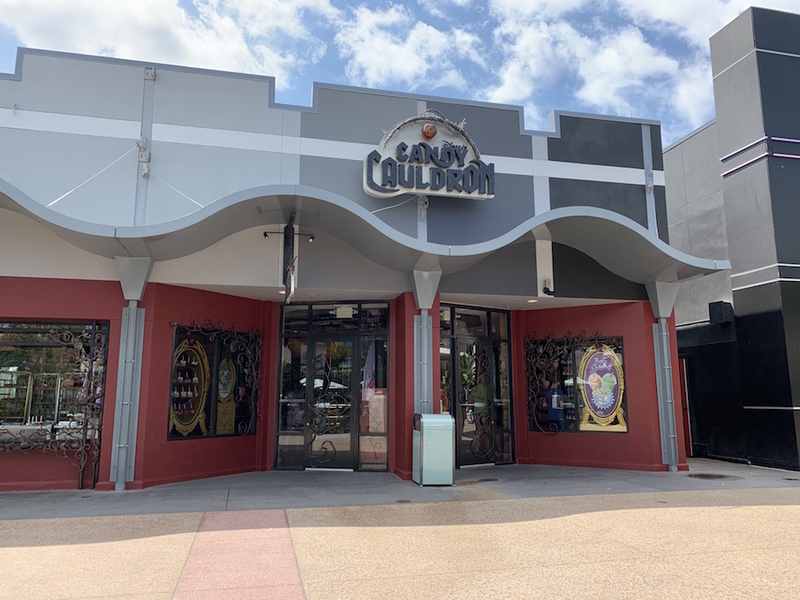 The more collectible items include the Disney Village pieces, Christopher Radko ornaments, Disney Railroad Train Sets, Snowbabies, and the Walt Disney World Showcase Collection. This store has an extensive selection of Christmas movies and books, including The Polar Express and Jolly Old Santa Clause. The traditional glass Mickey head, in an array of colors and themes, can be personalized for just $3.00 per word. Holiday goodies such as cocoa, coffee, cookies and peppermint bark are also found here. If you celebrate the Festival of Lights, check out the Disney Hanukkah decorations and the large selection of blue and white ornaments. The small section of non-Disney ornaments includes glass Santas, snowmen, birds, the Fleur de lis, and Christmas pickles. Decorations for Thanksgiving, Halloween, and Easter can also be found here seasonally. 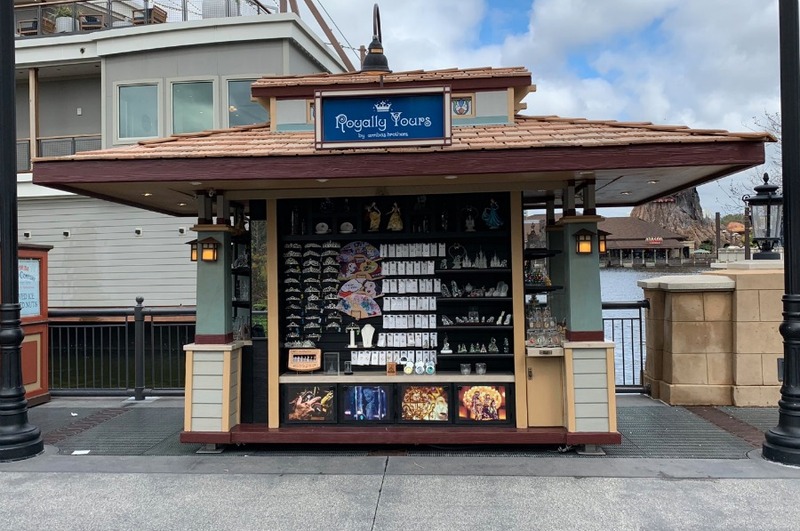 This open air shop is where you'll find almost every Disney pin imaginable. There are hundreds of pins displayed by themes as well as Limited Editions. 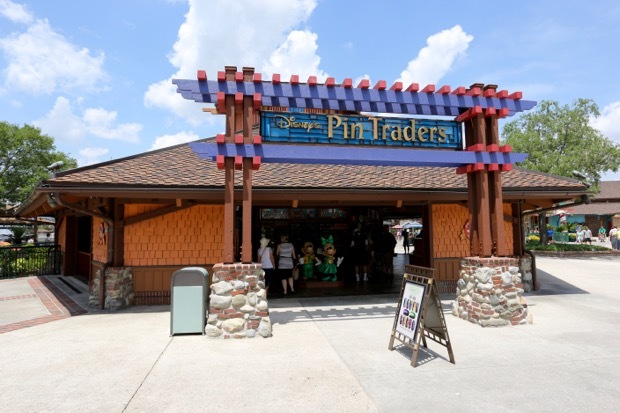 Pin trading sessions are also hosted here. Even if you're not into collecting pins, it's always fun to look through the selection of pins. Pins are an inexpensive souvenir. When you walk in the door of the little retail shop, you are hit with the amazing smell of chocolate! You can't help but enjoy browsing the selection of delicious chocolate. 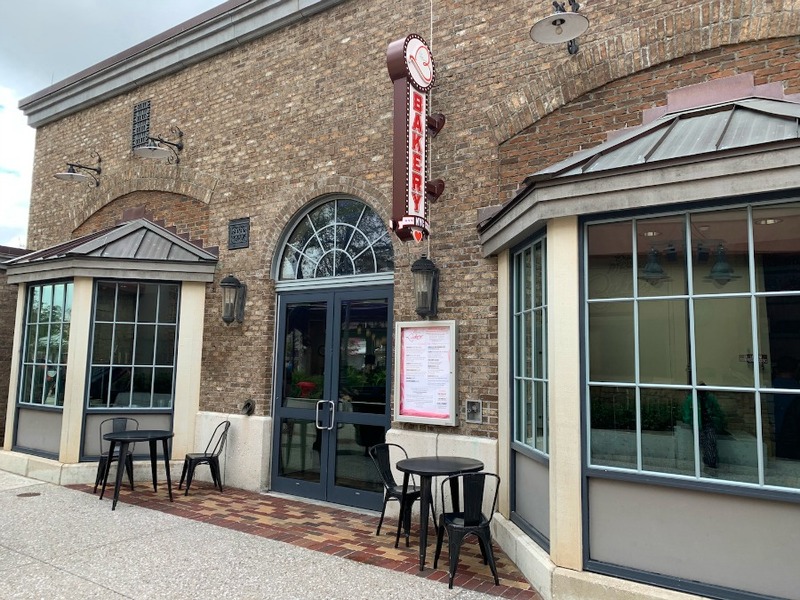 If you can't wait till you get home to sample, order a treat from the soda fountain right next door - a great cool snack in the Florida heat! A fantastic interactive candy shop that's certain to satisfy your sweet tooth. 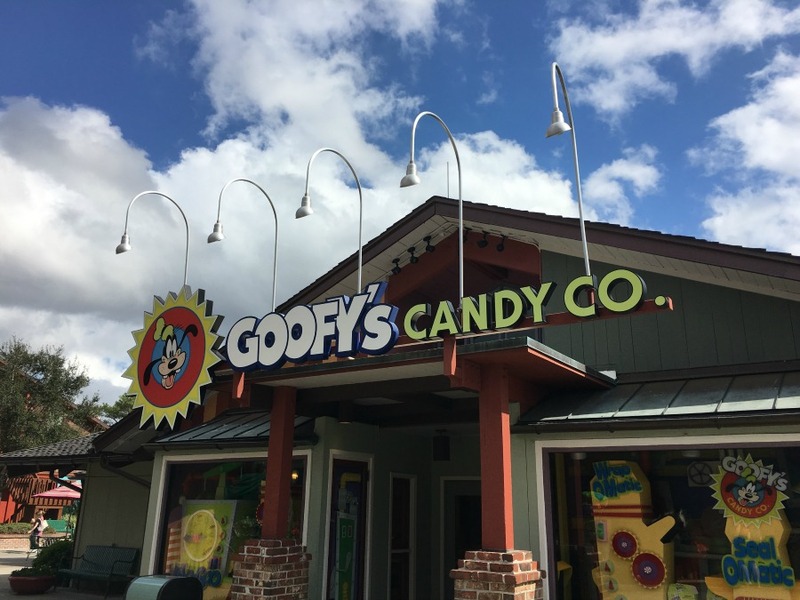 Whether or not you have a sweet tooth, you have to visit Goofy's Candy Company in the Disney Springs Marketplace. It's so much more than a candy store. It's bright and colorful, as you'd expect. There are rows and rows of self serve bins where you can get treats. (A limited selection of sugar free candies are available.) There are pre-packaged candies and novelties for sale as well as glass displays filled with tempting confections. If you need a gift for a left-hander in your life, this is the place to find it! This kiosk offers coffee mugs, t-shirts, scissors, even left-handed pens! 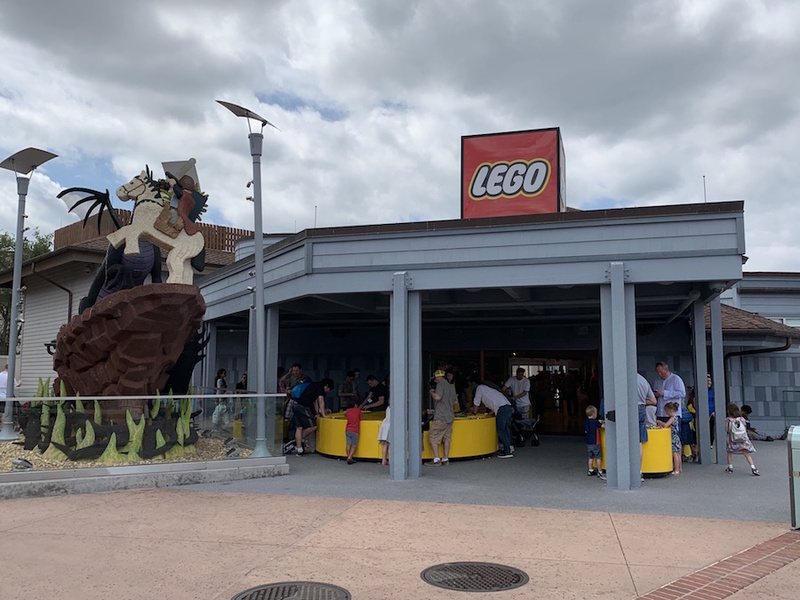 Almost every type of Lego is available here. From the simplest set of blocks to the latest kits, clothing and games, you're bound to find something for all ages at this store. Outside of the shop is a 3,000 square foot play zone. There are amazing Lego creations found around the shop, including a "sea serpent" in the lake. This is a great photo spot. 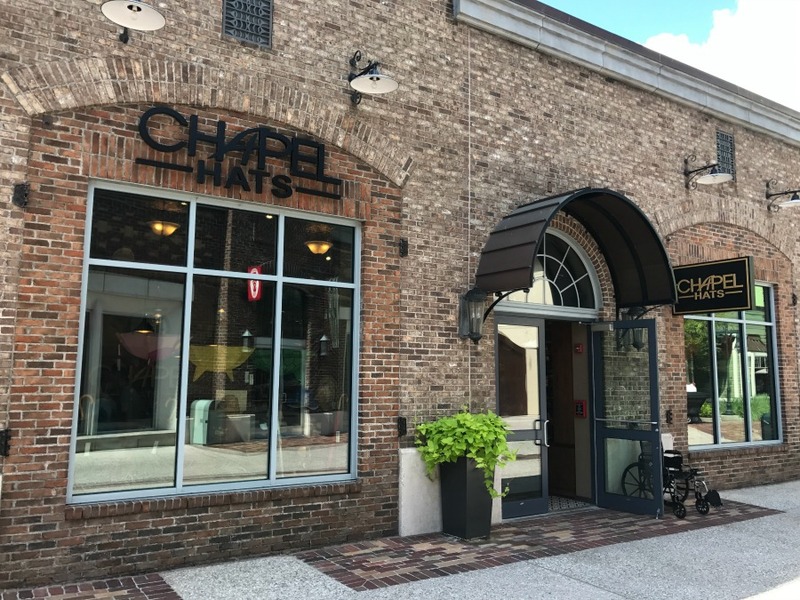 Cherry Tree Lane - scarves, shoes, bags, watches and jewelry. Dooney & Bourke, as well as Vera Bradley bags will be carried here. Disney Centerpiece - home products with a hint of Disney. Find glassware, coasters, pillows and more, based on Disney attractions. Disney Tails - Disney themed pet collars, toys, bandanas, and other pet supplies. Lovepop in the Co-Op - paper sculpture 3D greeting cards. According to Disney, the cards are designed with state-of-the-art software, then assembled by hand. TAG - Disney-inspired travel accessories and gear such as toiletry bags, passport wallets, jewelry organizers, neck pillows, travel cups, and suitcases. The boutique is themed like an airport. WonderGround Gallery - Original Disney-inspired art. Artists will often be here doing signings of their work. This shop offers some great values; everything is less than $25 and makes for a great gifts and souvenirs. 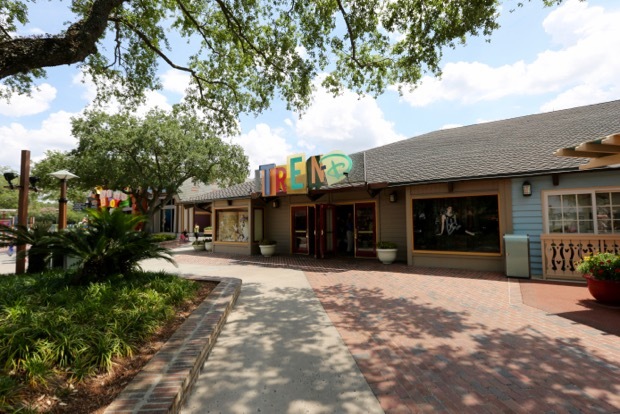 This store features Mickey-themed culinary items, such as dinnerware, waffle irons, and coffee mugs. 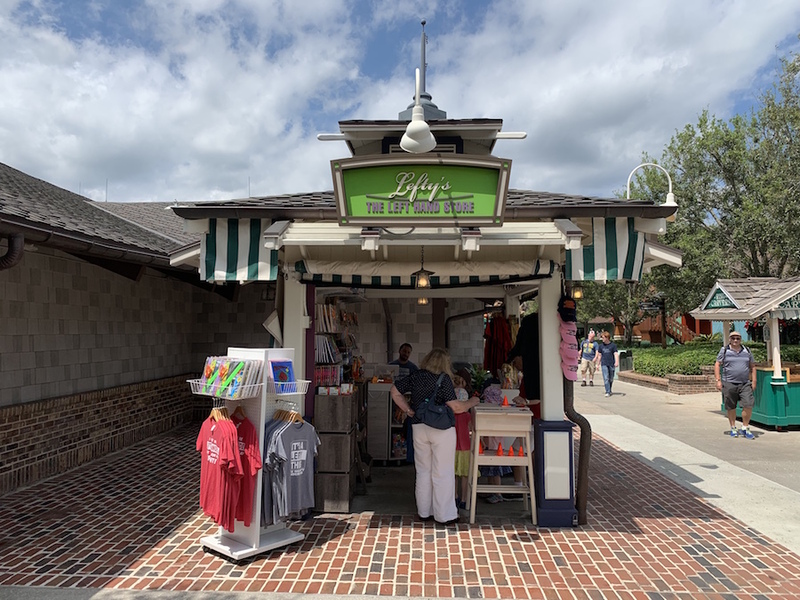 A recent addition to Mickey's Pantry is a section called "The Spice & Tea Exchange". This is a collection of a variety of spices, teas, sea salts, rice, platters and 12 naturally infused organic sugars. This store is for the child and the child at heart. The exterior appears to be constructed out of Lincoln Logs and Tinker Toys. Every Disney themed toy imaginable is featured here. There are incredible displays including the Monorail system in miniature. All of Disney's DVDs currently available for sale can be found here. In addition to an extensive display, there's a binder that contains the full listing of 300+ titles. 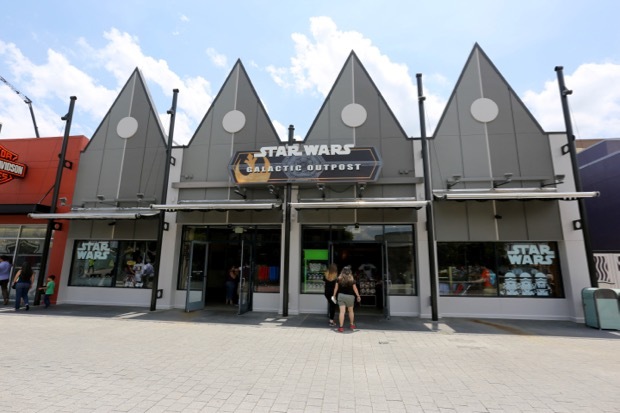 A Star Wars Droid Factory building station can be found here as well. Customize your very own R2D2-like droid action figure. Rainforest Cafe Shop - Adjacent to the Rainforest Cafe. 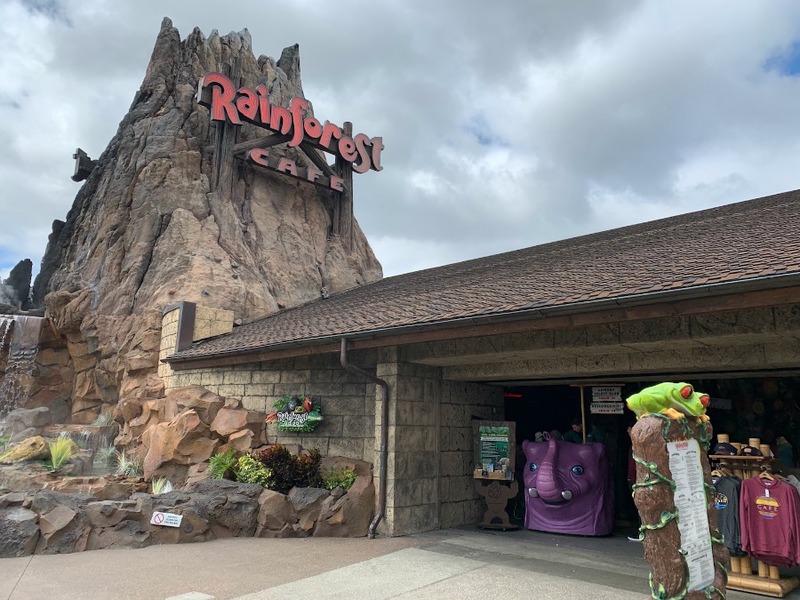 A full line of Rainforest themed merchandise including clothing, mugs, jewelry, private label condiments, postcards, toys, candy, mugs, etc. 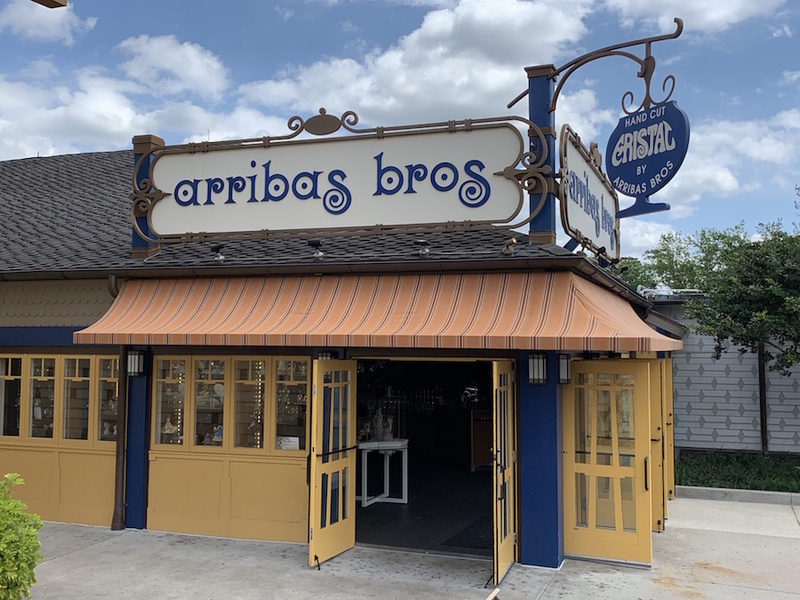 Royally Yours by the Arribas Brothers - This shopping kiosk offers all things "royal" from Disney-themed jewelry to tiaras featuring your favorite Disney Princesses. 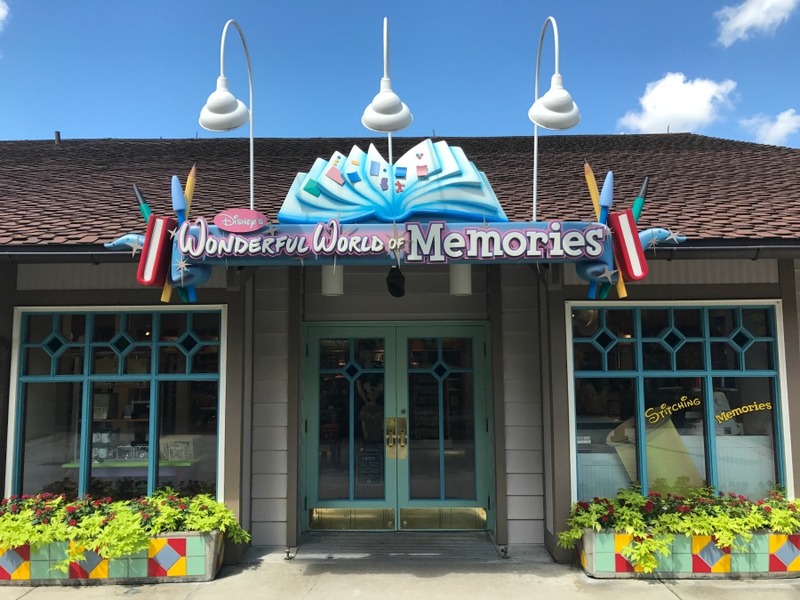 Wonderful World of Memories - This is the place for scrapbookers to stock up on Disney-themed craft supplies, stationary and photo albums. 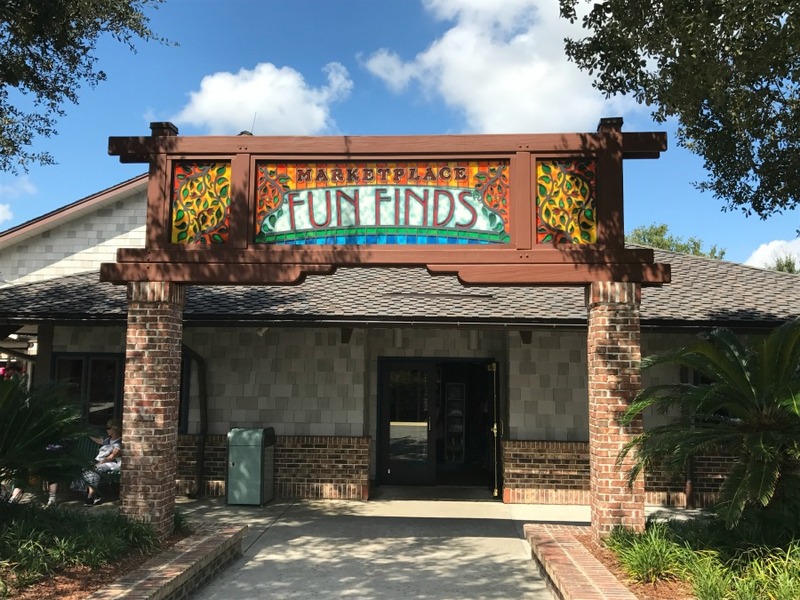 You'll also find kiosks featuring caricature artists, hair wraps, create-your-own keepsakes, pick-a-pearl, woodcarving, and leather goods. High end sunglasses with the latest in technology, such as Apex Smart Mirror. Premium men's grooming essentials are available. Speak with the shaving specialists for advice on proper grooming techniques. Haircuts and shaves are available, apppointments suggested. A variety of headwear for guests of all ages. NYC Vegan, gluten-free menu of donuts, cupcakes, cookies, bagels, and other items. Fashion jewelry, including enamel, semi-precious and precious. Celebrity-inspired jewelry at reasonable prices. Authentic replicas of iconic jewelry and accessories from Hollywood celebrities. 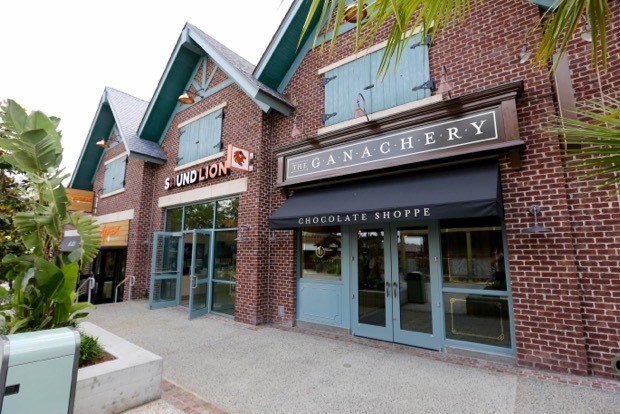 This chocolate shop features a custom blend of freshly made ganache, a mixture of chocolate and cream. The treats are hand-crafted onstage for guests to watch. Varieties offered include dark, hazelnut, chipotle and a custom blend. There are bars inspired by Disney characters and take-home gift options available. 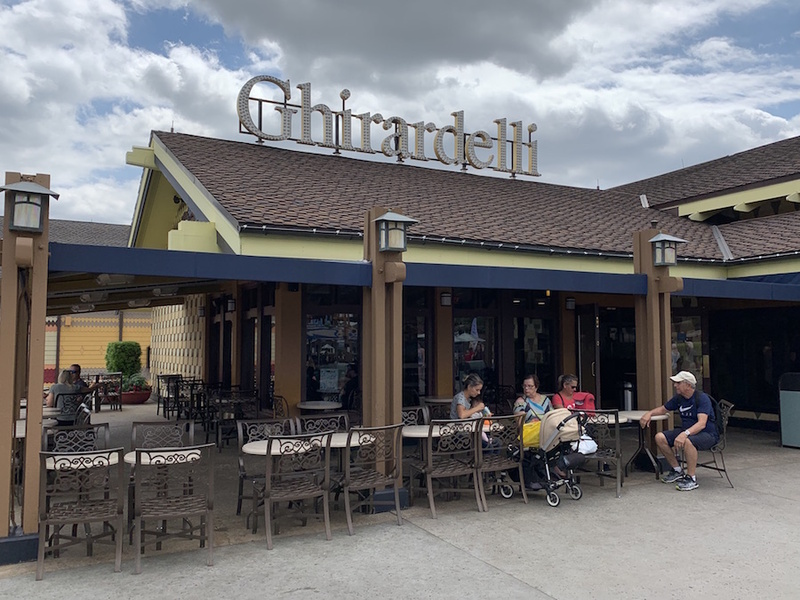 Disney Pastry Chef Stefan Riemer says, "Textures, tastes, colors - this is about relaxing and enjoying a bite-size indulgence." An assortment of sandals for men, women and children, including kids' rain boots. 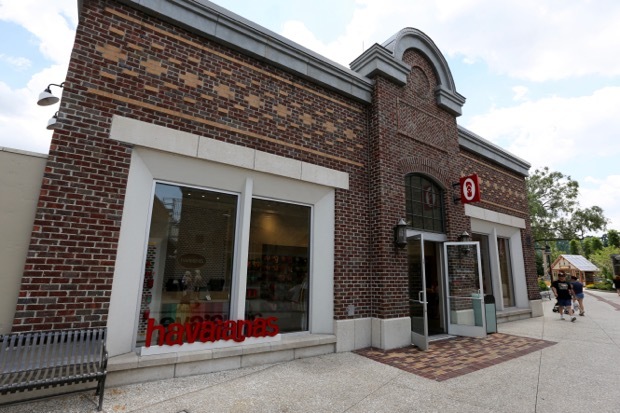 Two experiences available to personalize your shoes - "Make Your Own Havaianas" and "Embelish Your Own Havaianas." 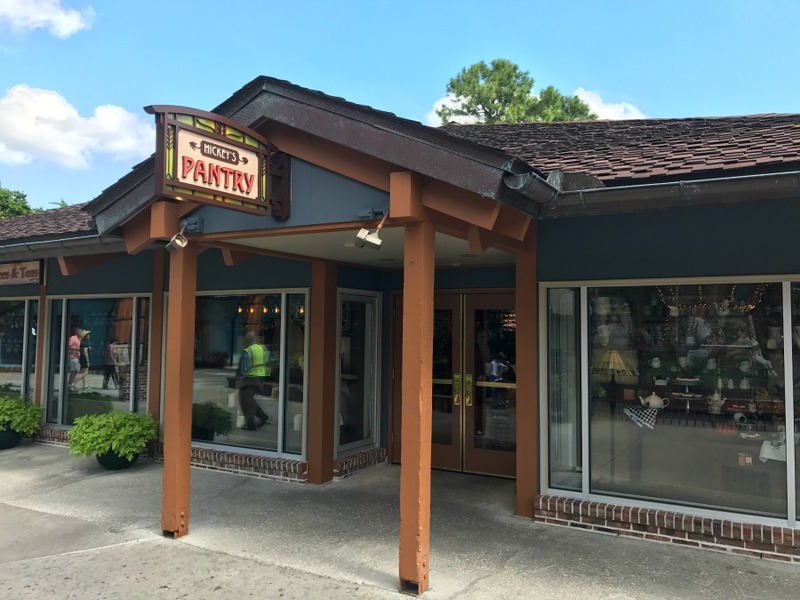 This kiosk features natural body products that are handmade in Monroe, Georgia. Some of their products include deodorant, essential oil roll-ons, shower bombs, and their own Peppofoot collection. Footwear designed using non-traditional materials. One popular item available is their yoga mat flip flops. 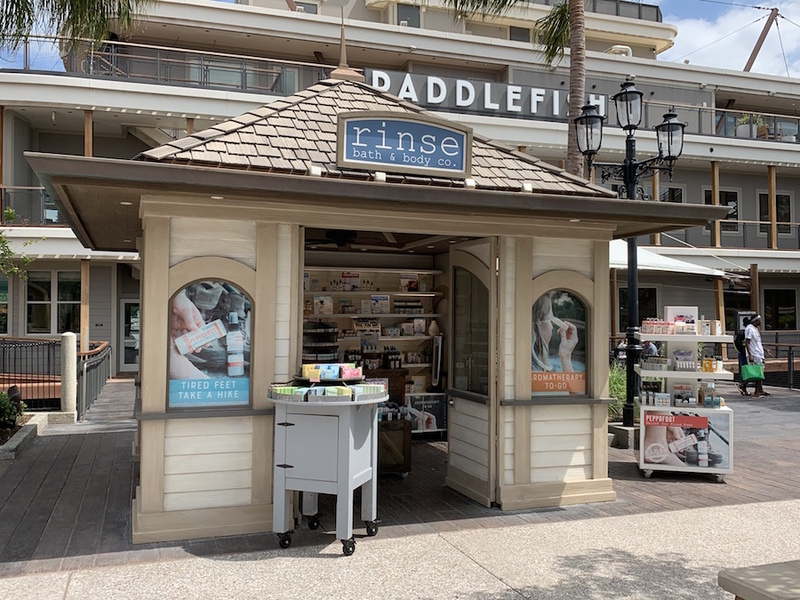 This shop offers a variety of specialty and everyday honey, plus a range of other all-natural products, such as body wash, lotion, lip balm, and body butter. 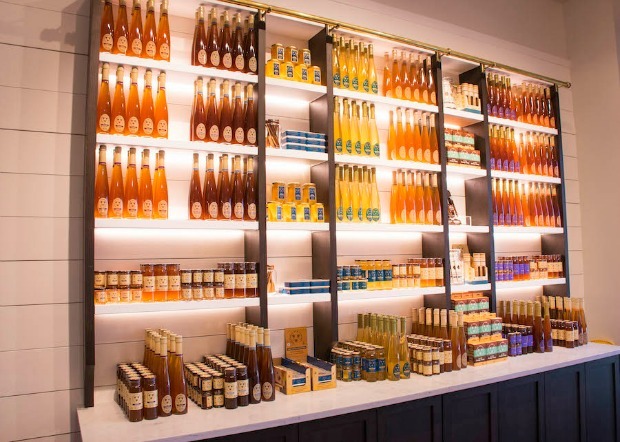 Be sure to try out their Mead Tasting Bar that features honey wines ranging from dry to sweet, still to sparking, and everything in between. Music products, including headphones, earbuds and speakers. Other digital sound products available featuring the latest technology. A wide selection of candy and treats. 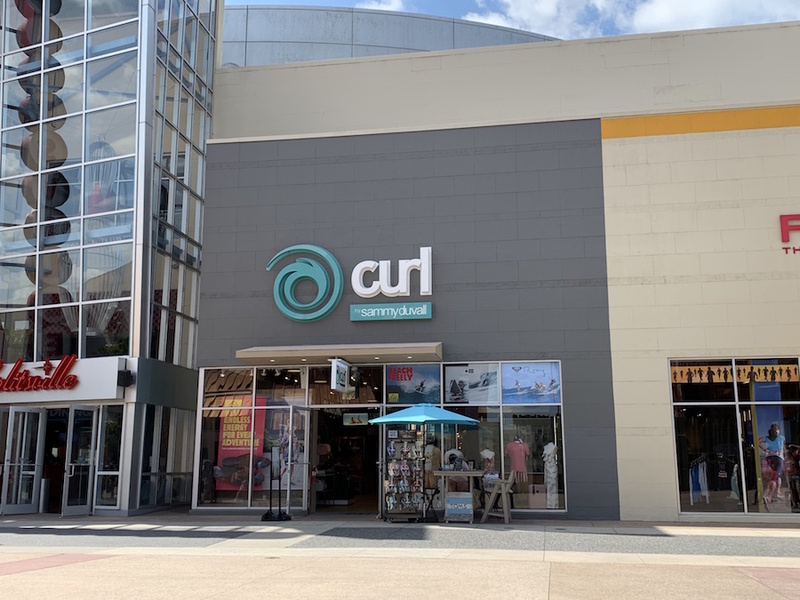 High end Surf Shop which features a selection of trendy surf themed clothing and accessories, watersport gear, shoes and eyewear. 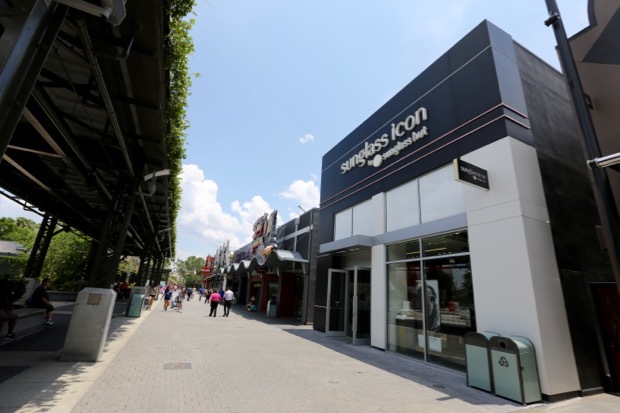 The shop is located next to Splitsville Bowling Alley. Hours are 10:30am - 11:00 pm on Sunday through Thursday and 10:30am - midnight Friday and Saturday. 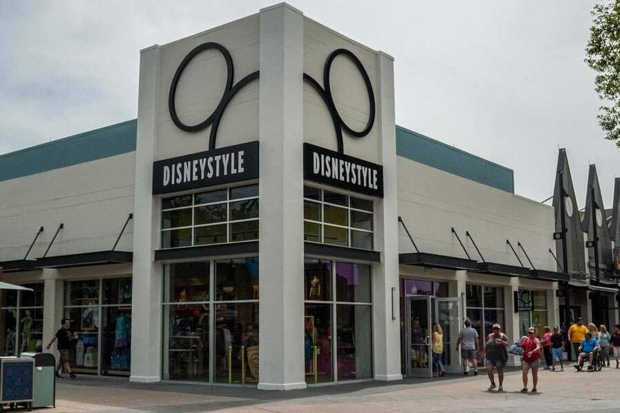 DisneyStyle is the newest destination for fresh and fashionable apparel and accessories that were inspired by treasured attractions at Disney Parks and cherished Disney characters. Look for some great photo ops in the store as well. 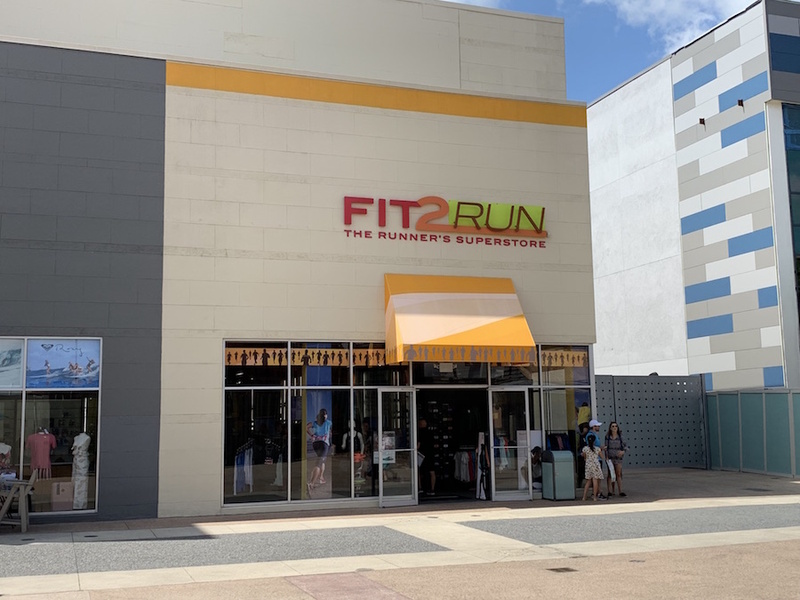 This athletic footwear store helps runners find their perfect pair of athletic shoes by using a complimentary video-taped gait analysis and an iStep barametric screening. Once you pick a pair, you can test them out on the indoor track to make sure they're exactly what you're looking for. The store also features many events, clinics and new product introductions. 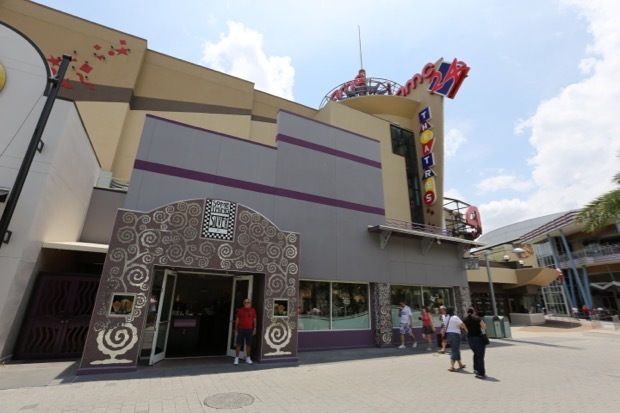 It is located across from House of Blues next to Curl. 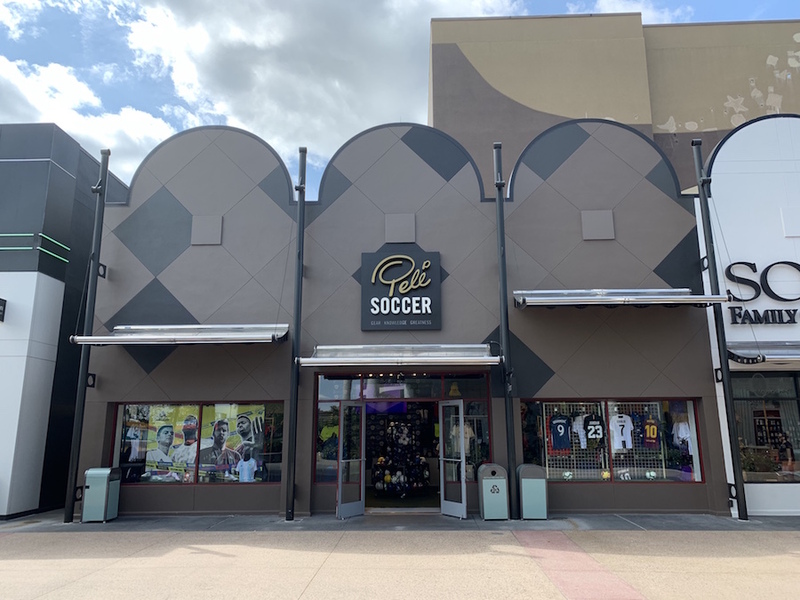 Pelé Soccer - This soccer retail experience offers jerseys from clubs and countries around the world, footwear, and accessories along with Pelé’s iconic jerseys from his time playing for Brazil, Santos and the New York Cosmos. A unique, in-store feature for guests is the ability to add their favorite player’s name and number – such as Pelé, Ronaldo and Messi – or their own name and favorite number to a jersey. Pelé’s World Cup trophy is also on display for a one-of-a-kind photo opportunity. Original artwork and upscale gifts. 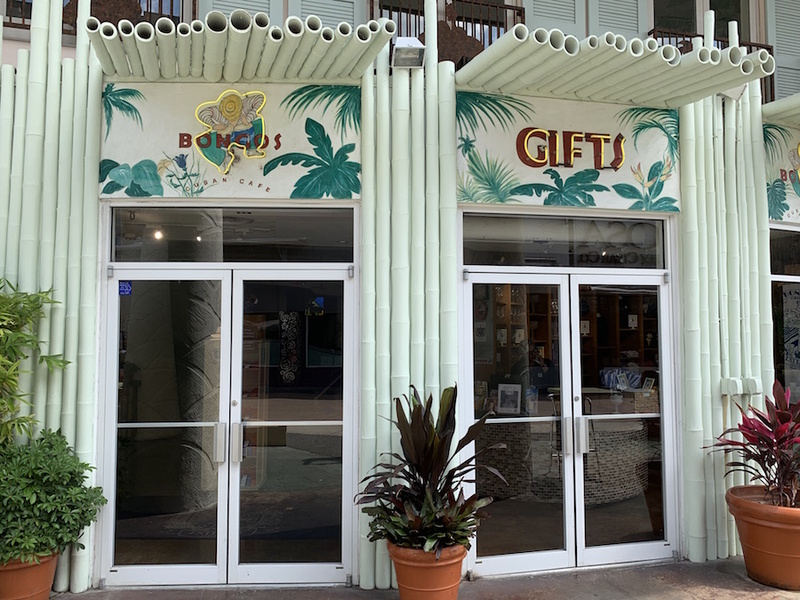 The perfect place to pick up a gorgeous piece of designer jewelry that will help you remember your trip once you return home. 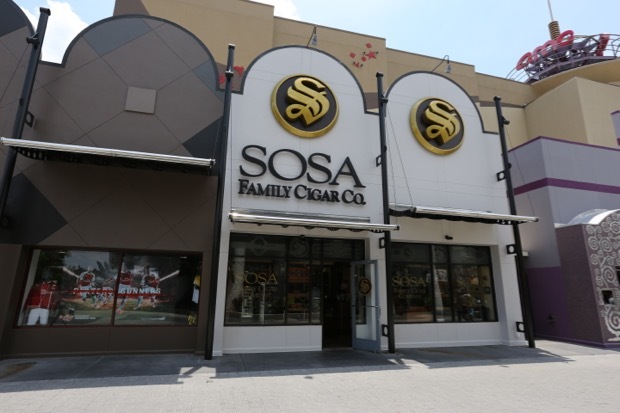 The Sosa family has been in the cigar business for over 70 years and is well-recognized as one of the leading cigar retailers in the U.S. Many smoking accessories are available as well. Have your new shades custom-fit by the specialists here at Sunglass Icon. 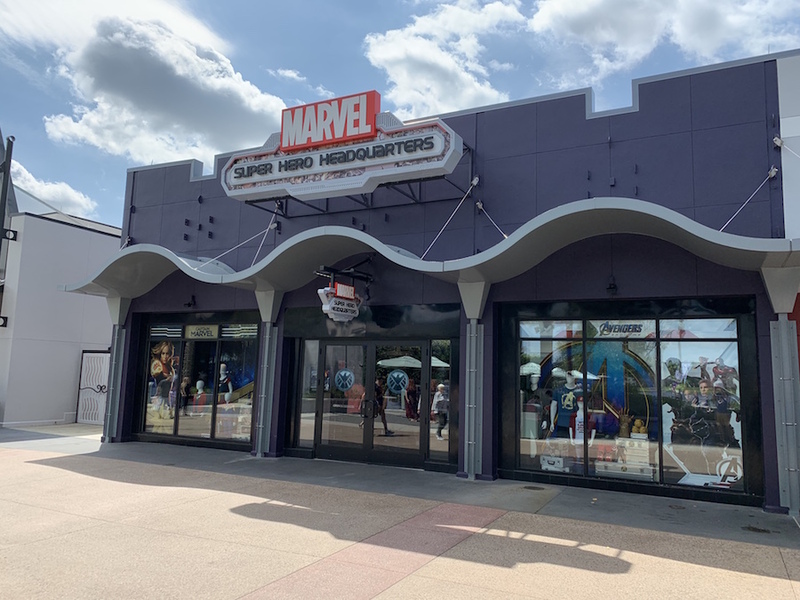 Superhero-themed merchandise available, including action figures, apparel, Vinylmation, accessories, and collectibles. Disney Infinity figures and playsets are also available.